Both Wigs and Sylvester were rescue kittens, but Sylvester's life started out the hardest. We found him in the middle of the road on a busy highway, poor guy, and were lucky enough to scoop him up before he got hurt. So because of their start in life it should be no surprise that we show them how much we absolutely adore their company by spoiling them rotten. One of our favorite ways to do so is to go on walks together around the mountain. 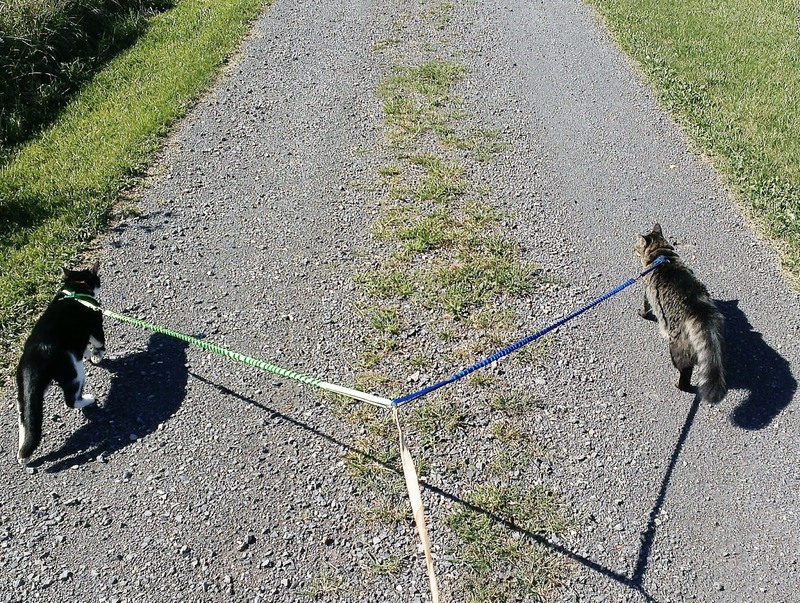 While they are usually pretty good about walking, sometimes neither one is having it. 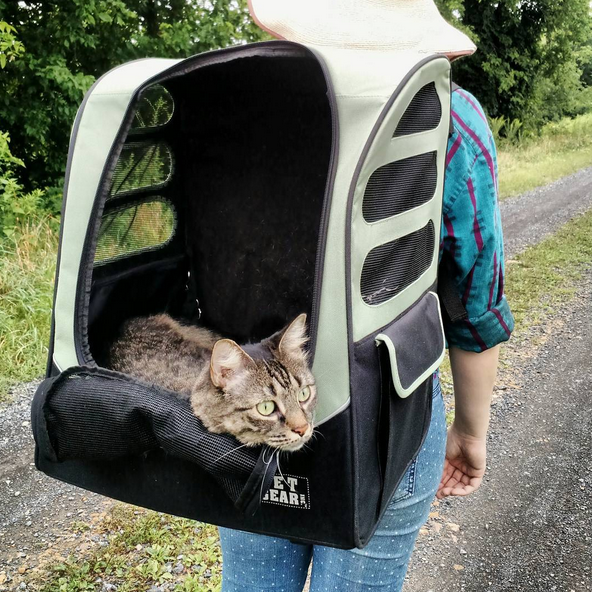 To help them out we found a pair of pet backpacks, and truth be told I think Wigs enjoys being carried around (like the princess she thinks she is) more than walking, haha. One of the things I love about Rachael Ray is that she is also a huge animal lover. She doesn't just talk the talk either, as Rachael's personal proceeds from sales of Nutrishish have gone toward food, medical supplies, and treatments for animals in need. And if that's not enough, the Nutrish brand makes food and treat recipes with simple ingredients like real meat and wholesome veggies, so you know it's good for your four legged friends. Rachael Ray is actually doing a pretty fun little contest where you could win a year's supply of food as well as $1500! 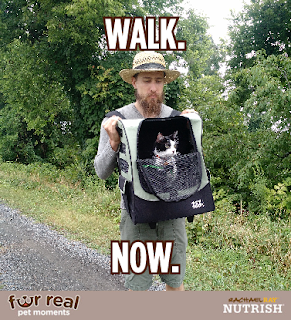 All you have to do is upload a picture of your furry friend and pick a caption from the site! So freaking easy you'd be silly not to enter. Just head over here to enter. If you do enter I would love to see what picture and caption you use so be sure to share it in the comments below. Good luck! I was selected for this opportunity as a member of Clever Girls and the content and opinions expressed here are all my own. And as always thank you for supporting the brands and sponsors that help make Little Lady Little City possible.